Welcome to the cleaner and non-toxic future of pest control. 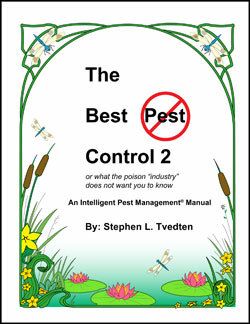 My name is Stephen Tvedten; I am an author and an acclaimed integrated pest management (IPM) expert. I have patented and documented the use of enzyme-based compounds for nontoxic biological control of insects and arachnids. In searching for alternative and effective pest control strategies, my manual on enzyme-based compounds is suited for the environmentally conscious person. I have written a reference-based manual in the field of nontoxic pest control. 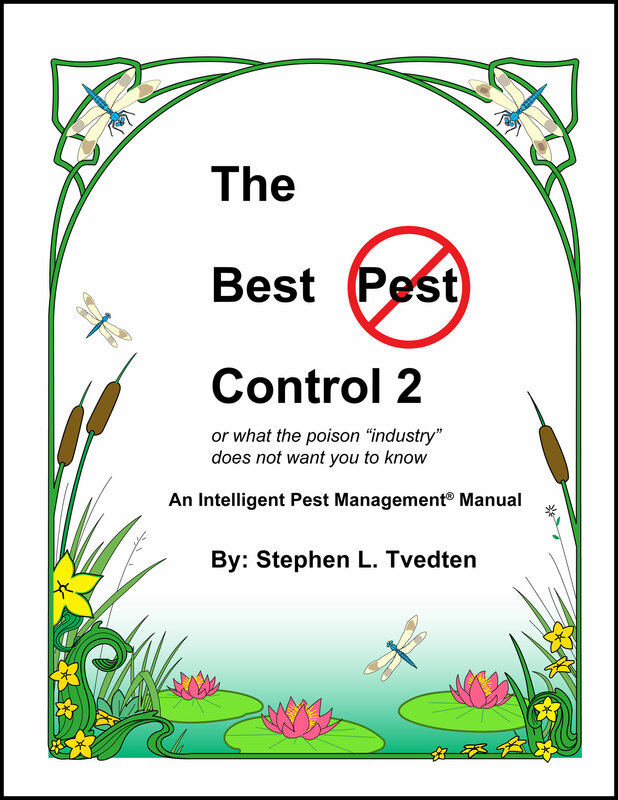 The free manual called “The Best Pest Control 2” will provide you with resources to encourage the spread of safe alternatives to chemical poisons, and thus reduce contaminations to ourselves and the environment. I urge you to read The Best Pest Control 2 and make a positive impact on our environment when deciding what methods to use to eliminate pests. Please feel free to download my manual. You will need Adobe Reader to view chapters in PDF format. Download Adobe Reader at the link above. Please be patient as downloads may take minutes. Chapters and control summaries are provided in both PDF format (for printing) and WEB (for easy viewing). The Best Control 2© is updated regularly, please check back for most recent info. This written material cannot be reprinted without author's consent. Permission available upon request. Send Stephen Tvedten a message. The statements, techniques and/or opinions in this manual have not been evaluated by the EPA or the FDA. This manual is not intended to treat, diagnose or prevent disease, or to sell or recommend nontoxic pest control services or products.